Large Folding Run and Hideaway Hutch is the perfect combination and at a lower price. Plenty of space and somewhere secure to hide. Large Folding Run and Hideaway Hutch is the perfect combination. Give your pets plenty of space to run around in as well as somewhere to retreat to should the weather turn bad or they become scared. 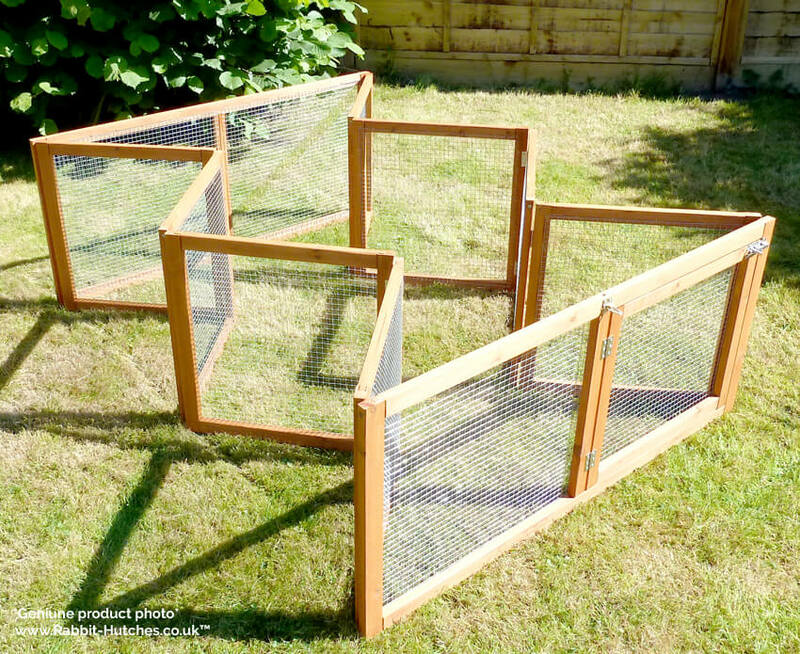 The large folding run is made from a solid 2cm x 3cm framework. 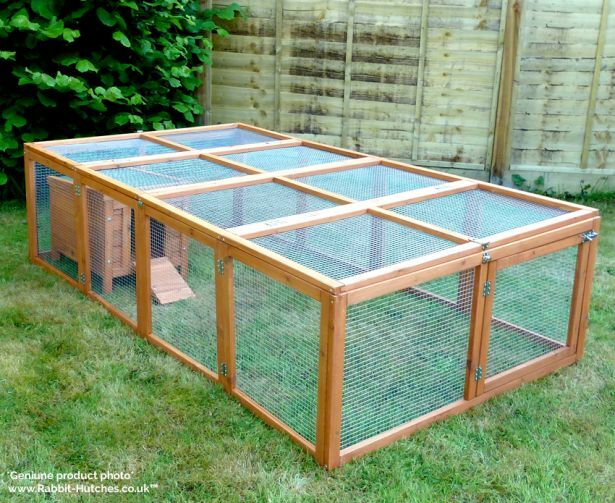 You can access the large rabbit run via the folding roof panels or via the front opening door. The roof section of the run is also fully removable. 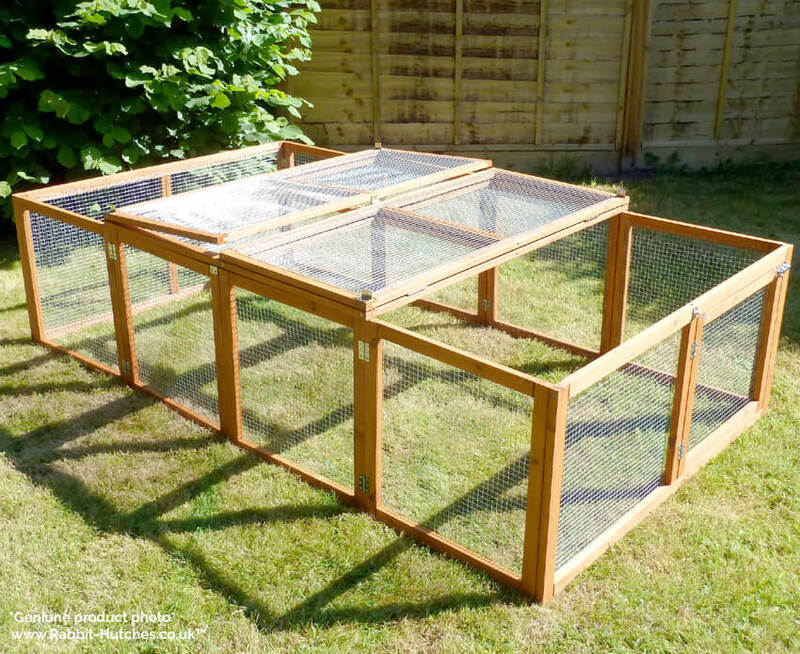 The large rabbit run provides your pets with plenty of space and height. 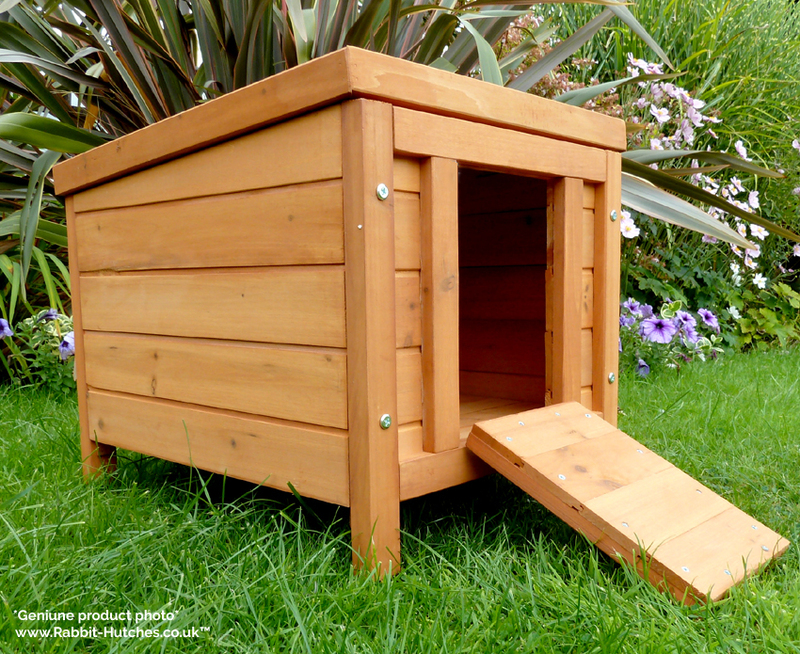 At over 24 square feet of space there is ample room for more than one pet. 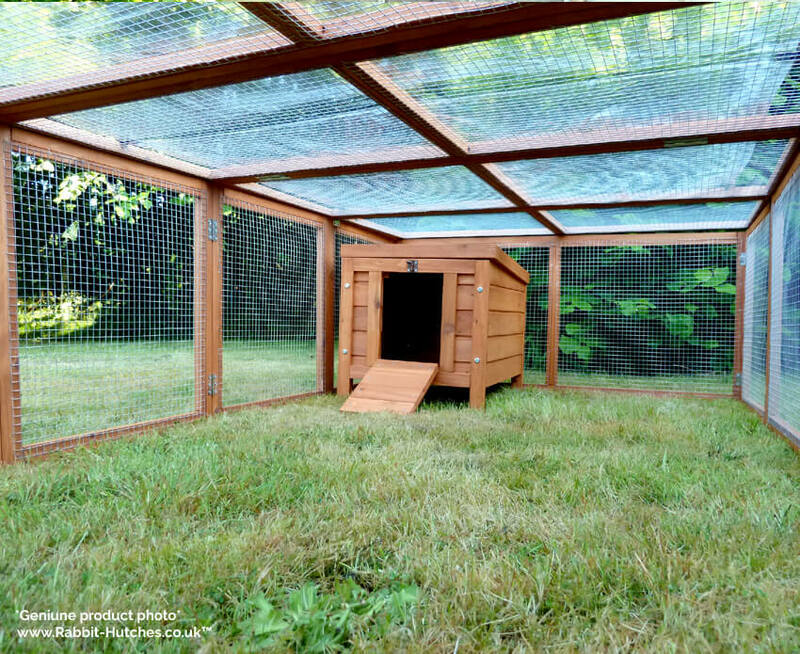 The hideaway hutch fits neatly inside the run and gives your pet rabbit or guinea pig a safe haven should the weather turn bad or they become scared. The large run has the added benefit of being able to be folded up and stored away when not in use. It's also easy and light enough to move about the garden too. In inches: H 20.8" x W 40.9" x L 78.7"
Hideaway Hutch : Height 44 cm x Width 42.5 cm x Length 50 cm In inches: H 17.3" x W 16.7" x L 19.6"
Instructions Included are the instructions with clear and concise diagrams as well as a bag of screws. Estimated construction time 25 to 40 minutes. 2. 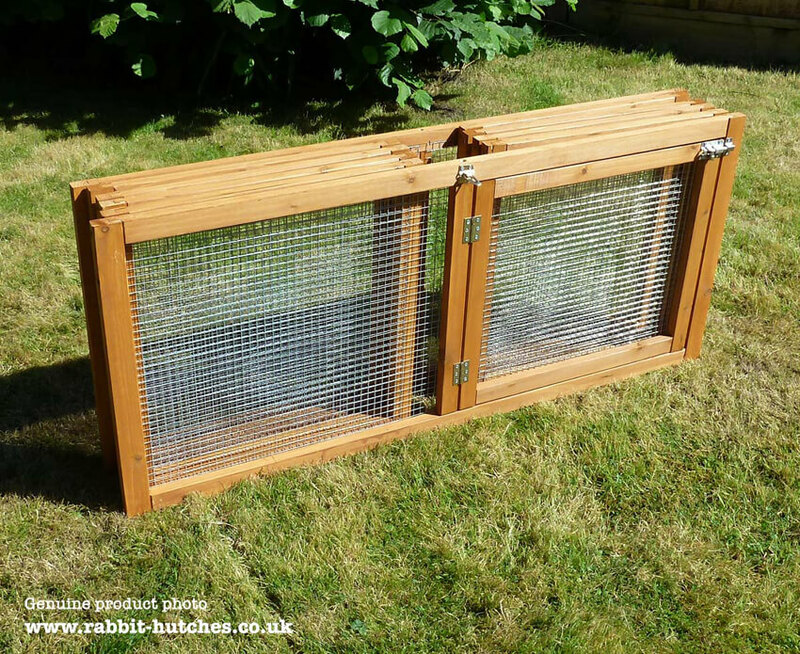 Is the Large Folding Run Hutch fox proof? We would like to think that our Large Folding Run is made to a higher standard than most other suppliers in its price range. While we have purposely used thicker, sturdier wood and locks with the aim to make it as safe and secure as possible for your pets we cannot absolutely guarantee that foxes and other predators won’t try and target them. 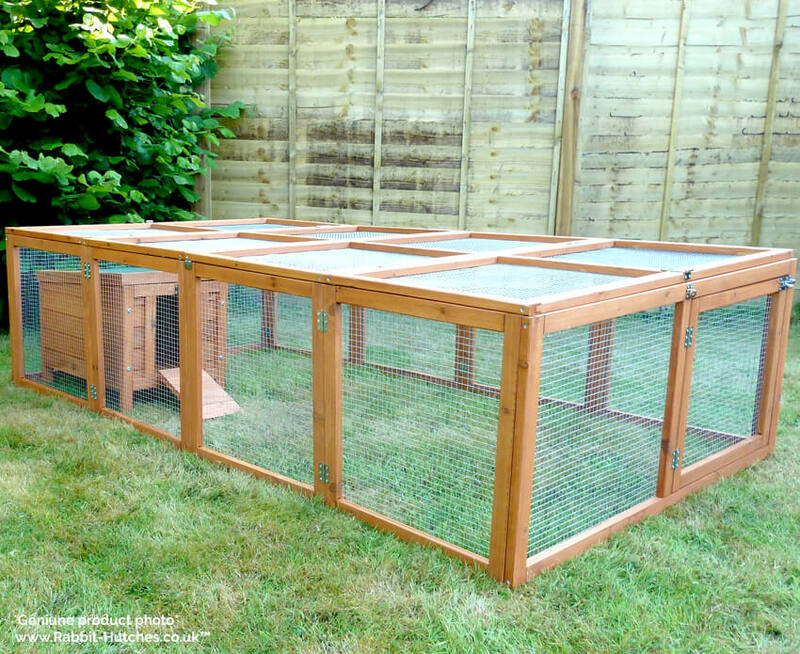 Foxes are by far the biggest threat that your pet will face so if you are going to keep your rabbits or guinea pigs outside then we also urge you to take these added precautions especially if you know you have foxes or other predators in your area. 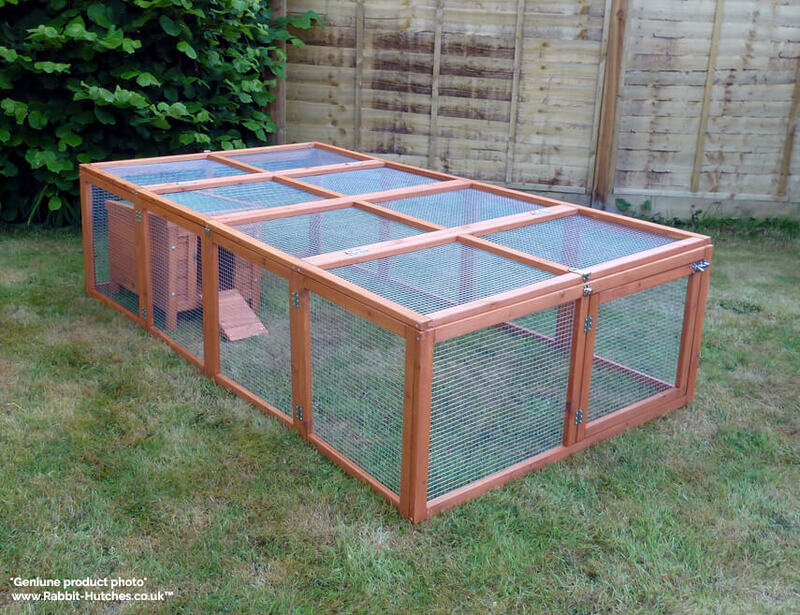 We would like to think that our Large Folding Run and Hideaway Hutch is made to a higher standard than most other suppliers in its price range. While we have purposely used thicker, sturdier wood, wire and locks with the aim to make it as safe and secure as possible for your pets we cannot absolutely guarantee that foxes and other predators won’t try and target them.